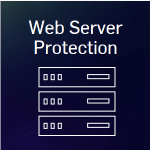 Sophos Web Application - Symtrex Inc.
Sophos Web Application (Web Server) Security Subscription hardens your web servers using Reverse Proxy technology to protect them from modern attacks and data loss. With it, you can securely offer applications like Outlook Web Access (OWA) and guard against techniques like SQL Injection and Cross Site Scripting (XSS). Stop hackers from using these types of attacks to gain access to sensitive information like credit card data, personal information, and social security numbers. Sophos Web Application Security aids you in compliance efforts where a web application firewall is required, such as PCI-DSS or request an evaluation. Sophos UTM will monitoring and manage the connections to and from your Web or Outlook Web Access servers. Using this technology, Sophos Astaro can scan of all the transactions occurring in real-time while giving you layered security options for how the Internet interacts with your servers both over normal HTTP and encrypted HTTPS. Benefit from two separate scanning engines that operate in parallel to prevent infection and keep your users and servers safe. Content is scanned and blocked at a central point before it is allowed to enter or leave the network. Sophos’s URL Hardening feature lets you keep website visitors in the proper areas and accessing only content they should be allowed to see. By forcing them to interact with servers in the “correct way”, this feature keeps creative hackers from performing unexpected operations to cause harm. Many different methods can be used by malicious visitors for them to silently test your sites and applications for security holes until they find a weakness. Keep hackers from using SQL injection or XSS by scanning their activity and using patterns to identify probes and attacks. Cookie Protection ensures that commonly-used “information packages” given to visitors by your web servers have not been tampered with. By digitally signing each cookie, the integrity of this information can be verified when it returns from the user. For more information, click here for the Sophos Web Server Protection Datasheett or contact us.